As finals week approaches, students tend to be more on-edge, worrying about that paper they need to revise or stress about how well they think they’ll do on that test next week or try to squeeze in that last-minute bit of extra credit. But for students struggling through the workload, there is help. The Institute of American Indian Arts Learning Lab allows students to schedule appointments to help them study for their upcoming finals. It’s not always about how much you know, though. “When students organize their assignments, they can schedule a time to get their rough draft proofread and then revised,” says Veronica Clark, Learning Specialist at the IAIA Learning Lab and IAIA alumna. But how does one manage to find the time to get a rough draft proofread in the Learning Lab if they also have to research for the paper, and read for this other class and study for the exam in that class next week? It’s all about organization, something the Learning Lab can help with too. “I try to let people know I have good organization skills and I can do one-on-one workshops for students,” Clark says. What makes Veronica Clark so qualified? “I was valedictorian and I know the grades I got were because I was organized, not because I was smarter than everyone else,” Clark says. “The next step is getting students to realize that writing a paper or studying for an exam takes time,” Clark says. And it’s true. Writing papers takes time to work in small steps: building a strong thesis, researching academic sources, writing a rough draft, going to the Learning Lab to study. But taking the time will pay off in the long run. 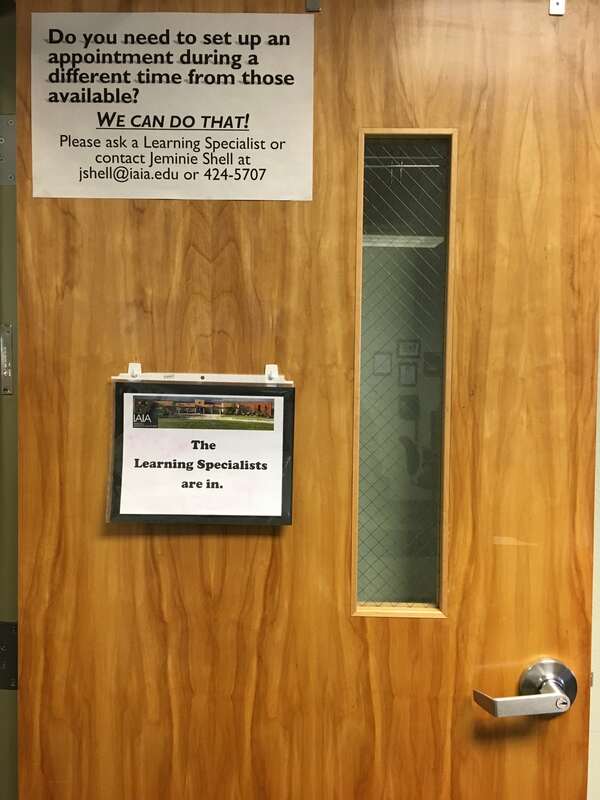 Even if a student doesn’t need tutoring, the Learning Lab offers packets on studying tips, MLA formatting, computers to work on, or even just a place to come and study quietly for a few hours. “We’ve started having longer hours this semester,” Clark adds. 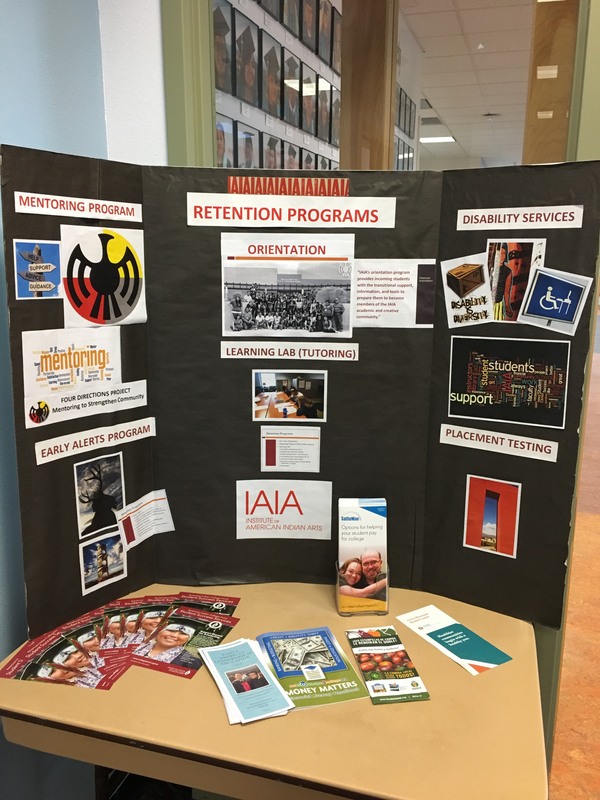 The IAIA Learning Lab’s extended hours this semester are Mondays-Thursdays from 9am to 9pm, Fridays from 9am to 5pm and Saturdays from 12pm to 5pm. The Institute of American Indian Arts Learn Lab is open for business to support students in their courses each semester. Photo credit: Hailey Suina.